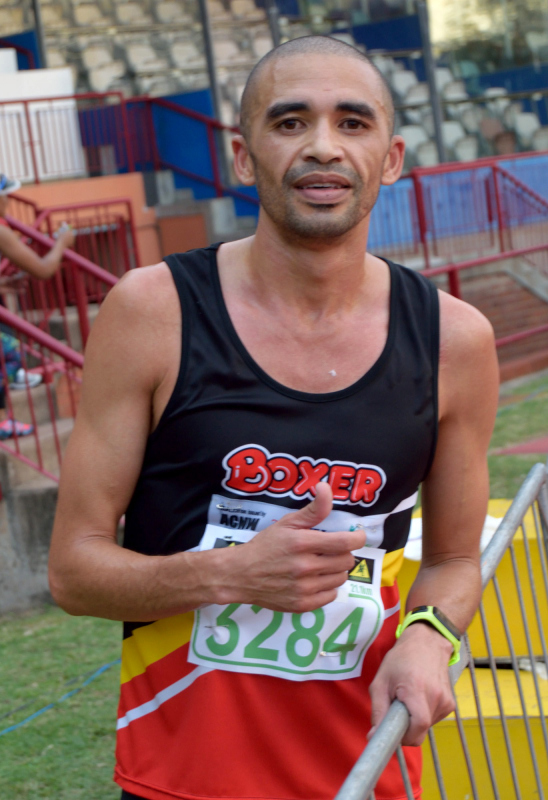 ELROY Gelant produced the quickest half marathon time by a South African this year at the Durban City Marathon on Sunday when he blitzed around the beachfront course in 61 minutes 57 seconds. The Durban City Marathon route lived up to its billing as a fast course with the Boxer Athletic Club runner battling for the entire 21km with young rising KZN star Mbuleli Mathanga, who ended up just six seconds behind the winner in the season’s second fastest time for the distance by a South African. 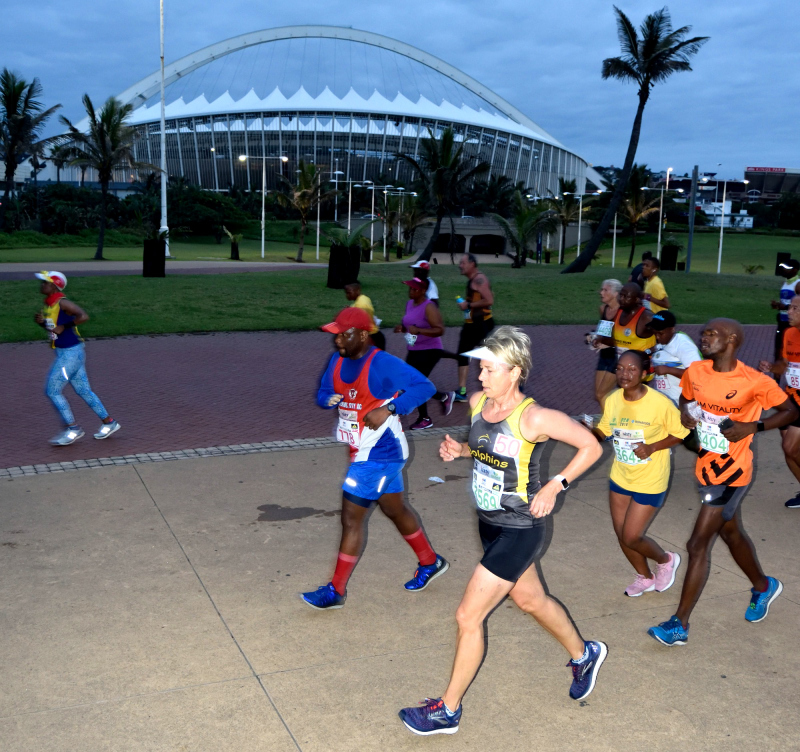 The pair broke away early on the first half along the Durban promenade and went through the halfway split in 30:33, 42 seconds ahead of Silindile Gubese. On the run back from the harbour to the Kings Park Athletics Stadium, the two leaders increased their advantage to over three minutes with Gelant making the decisive break as they approached the stadium. The previous season best was 1:03:57 set by Tebello Ramakongoana in Korea in February. 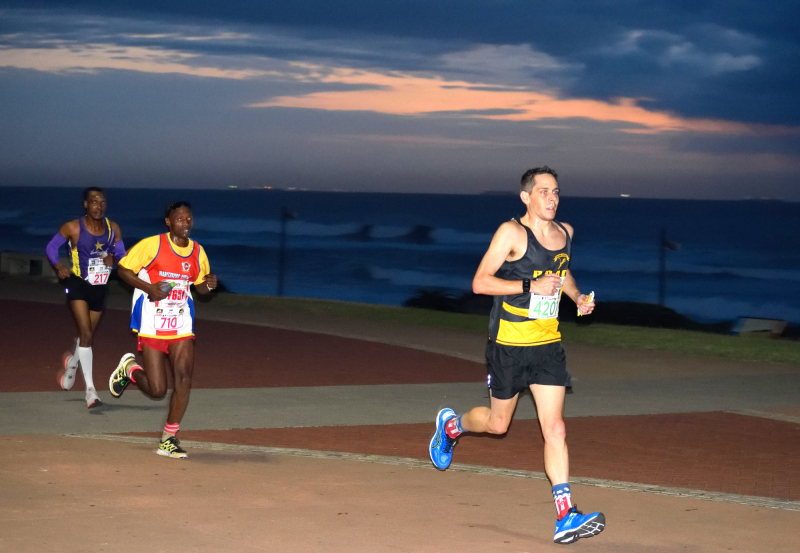 By dipping under 64 minutes and setting a new race record, Gelant was able to add a R10 000 time incentive bonus to his R4 000 first prize, but he was not even aware of the incentive bonus put up by the race organisers, Phantane Athletic Club. “I am really happy with my time,” said the current South African 5 000m champion. “It is a season-opener for me. I have 12 weeks of solid endurance training in my legs and I just wanted to get a nice race in to test my fitness. I saw the Durban City Marathon had a 21km and I knew it was flat and coastal and I thought ‘Let me give it a go’. “Mbuleli is the KZN 10 000 champion so I knew he had some leg speed, but for the 21km I was not sure about him. But from about the 11 or 12 K mark I felt I was in control of the race, although I was only able to get a gap on him over the last 400m. We helped each other along the route and he ran a brilliant race.“I did not even know about the incentive. This race was just to test my fitness and only after the race my manager phoned me and told me about the R10 000 incentive for a record time. In the 42km distance it was a one-two-three for Nedbank Athletic Club. 2018 defending champion Sibusiso Nzima made the decisive break from a group of about five runners with eight kilometres to go and built an 18-second lead as he finished in 2:21:10. Tsepo Mathibelle, one of the early pacesetters, was second while Mholi Jali ended third, just over a minute further back. Lesotho’s Sithembele Fanekho was fourth, another minute off the pace in a closely contested field. Nzima was ecstatic with his second win in two years. “The race was fantastic. My target was between 2:20 and 2:23, and the guys were pushing the pace very well on the first half. I could see I was on target so I decided to stay with the group and see how it developed,” said the 32-year-old member of the 2016 South African Olympic team. “There was a big group of around seven guys at halfway and at around 30km there were still five of us, so it shows the competition was there and the guys have trained hard for this race this year. “On the second half, at around 30 or 31 kilometres, I decided to make a little bit of a move to see if the other guys were OK. I realised I still felt strong and the other runners were starting to look like they had lactic build up so I knew that it was my race. 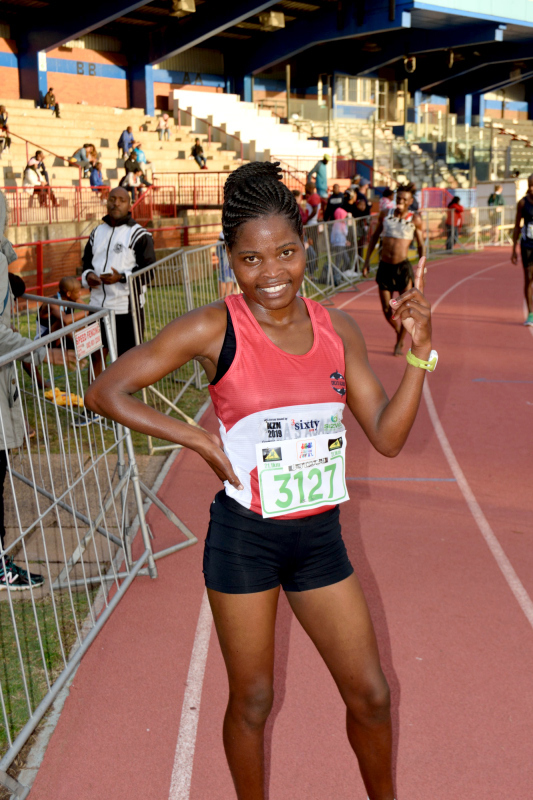 In the women’s 42km marathon, Otilia Nhaphimbe enjoyed a lonely run to finish in 3:21:11, four minutes ahead of Elrize Kruger with Wida de Klerk third. The women’s half marathon was won by Nalicy Chirwa in 1.22.32, six minutes clear of Fikile Mbuthuma with Cecelia Lieketseng Molefe just over a minute further back. 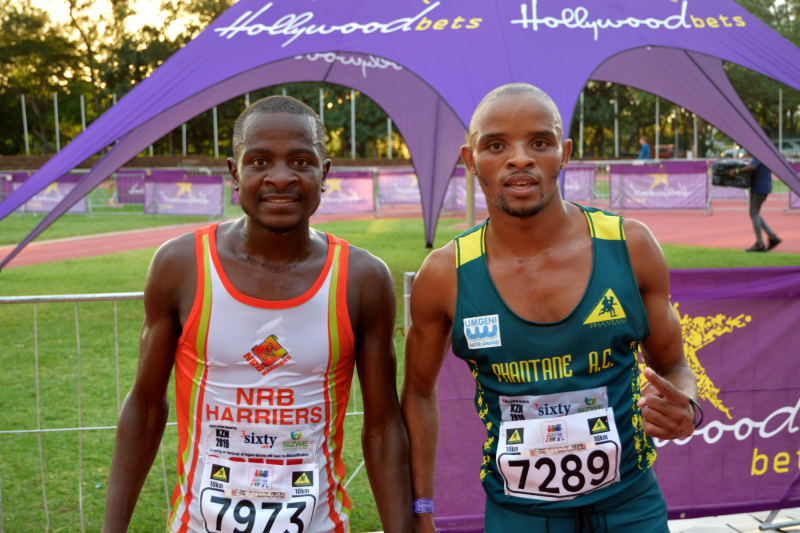 The 10km was won by Gift Mbanjwa in 31.18 with Siyabonga Mthembu and Simphiwe Zulu sprinting it out for second. 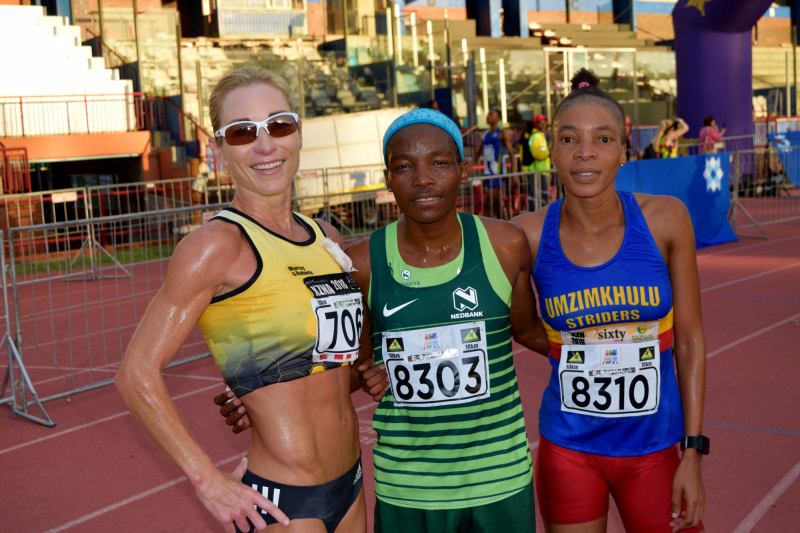 M Tjoka was the top woman over the 10km with Janet Mbhele and Jenna Challenor filling the minor placings.